I was approached by Kathy Ireland Worldwide and offered time to do an interview with her. 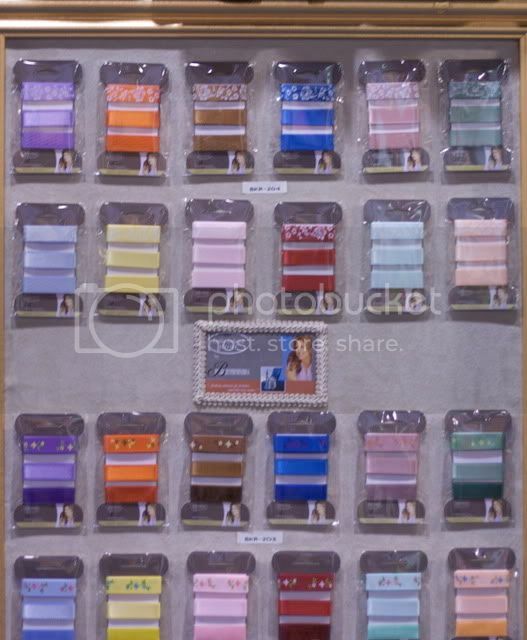 She is debuting new paper crafting embellishment line at CHA. I sat down with her and had a chat. I was so impressed with her and truly enjoyed this experience. If you hear the clicking of a camera in the background, that is her 15 year old son taking photos. He took the above photo with my camera and did a fabulous job. You can watch the raw footage of my interview below. Enjoy! Thanks for sharing the video Ashley - Kathy Ireland has always seemed like such a lovely lady! Would have liked to see some shots of her line though - in the video you mentioned the removable tattoos, but we didn't get to see them. Keep the fun CHA stuff coming! Some cool stuff. Definitely some items to keep in mind. Kathy seems really nice and pretty down to earth but I must say I don't see anything amazing in her line. Maybe some nice staples but nothing I'm dying to have. I'll be interested to see how she expands the line though because there is some potential there I think. Thanks for adding the product photos Ashley!